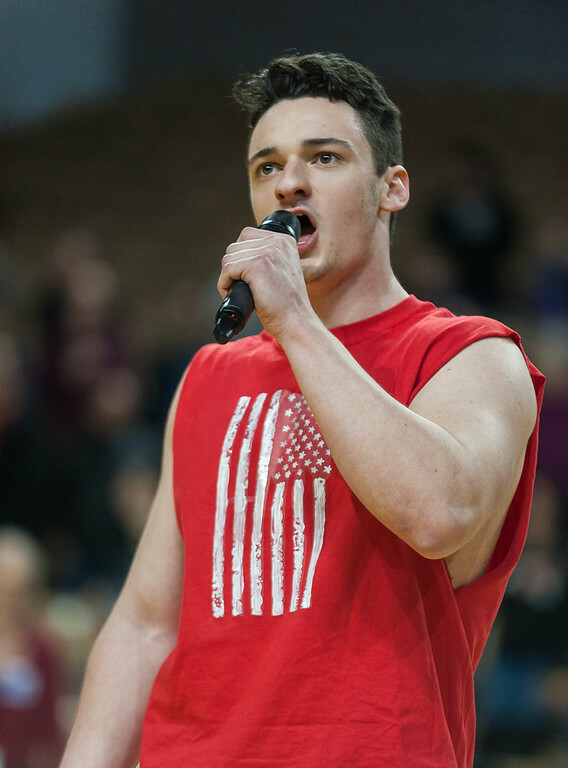 Nashoba senior Sam Keith is fondly known across the district as both a phenomenal singer and also an impressive athlete. This past Sunday, May 7th, Sam and 14 other senior football players from a variety of schools in Massachusetts were nominated to receive the National Football Foundation’s Joseph R. Mewhiney Chapter Scholar Athlete Award. Sam, along with Jon Ashton (Westborough High School), JJ Early (Doherty High School), and Akram Semakula (Maynard High School) were awarded with the scholarship. The amount will be released towards the end of the month. As a result of his award, Sam also delivered an amazing speech at the banquet, talking about how what he learned as a football player has applied to other aspects of his life and education, including musical theater. The award is gifted to student athletes who exemplify values and skills on and off the field, and who excel in their academic life. Sam, being an honors student, had no problem contending against the other candidates, and the entire Nashoba community is very proud and excited to have one of their own receive such an honor. Both Football Coach Jamie Tucker and Girls’s Track Coach/Guidance counselor Dan Glover sang their praise for Sam in his profile in the program for the event, raving about how well rounded, resilient, and intelligent Sam is, despite his multi-faceted and challenging activities. Sam will be attending the University of Cincinnati’s College Conservatory of Music next year to study in their elite Musical Theater program.